Tuesday was a hot night for Fabitat, Fab-5‘s super-tight creative lab on the Hilltop – and for Spaceworks Tacoma. The event was an exceptionally cheery fundraiser: hard to believe, but Fab-5 has been at it for 12 years mentoring local youth in the creative arts, and this was their first call for support, ever. Not only that, but the busy studio at 1316 Martin Luther King Way, which they occupied via a Spaceworks residency in 2011 and recently signed the lease for, is the team’s first-ever homebase. The Five’s dedication and leadership in igniting young minds through the visual and performing arts is the stuff urban dreams are made of. Attendees at Tuesday night’s event jostled to pledge support (you can make a donation here), and to sign the group’s door, graffiti-style. 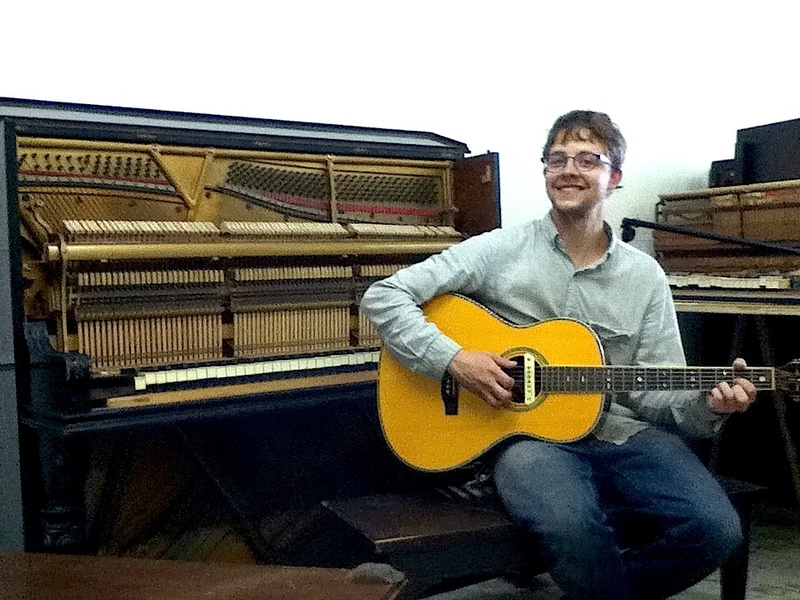 Musician Nate Dybevik is an expert in piano restoration. Photo courtesy of Nate Dybevik. At Spaceworks, such win-win situations (free space for creative entrepreneurs = potential paying tenants for landlords) are always cause for celebration. Fab-5 is but one of several Hilltop artists-in-residence who in the past year have activated a once dormant commercial zone and seeded the area around the Fulcrum Gallery with fresh life. 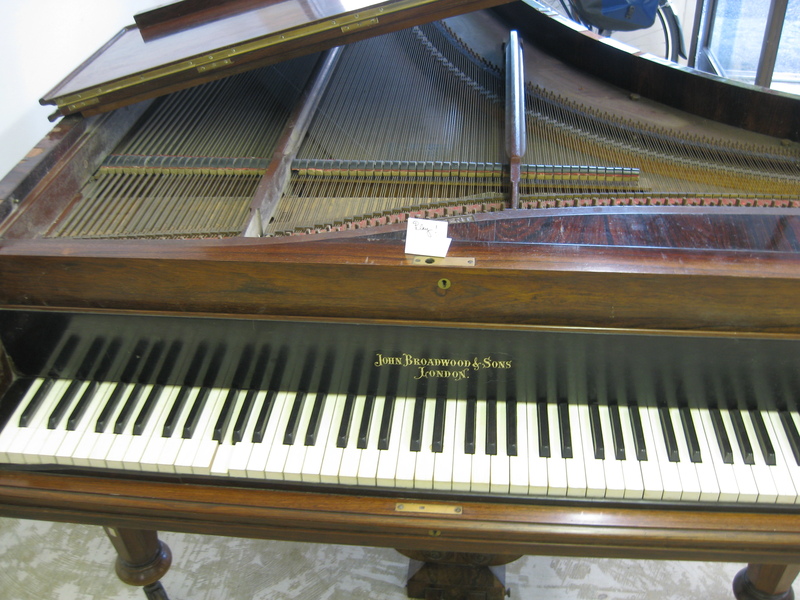 Nate Dybevik also recently signed the dotted line and gained a permanent address for his “piano museum” (he is a musician who rebuilds pianos) and music studio. 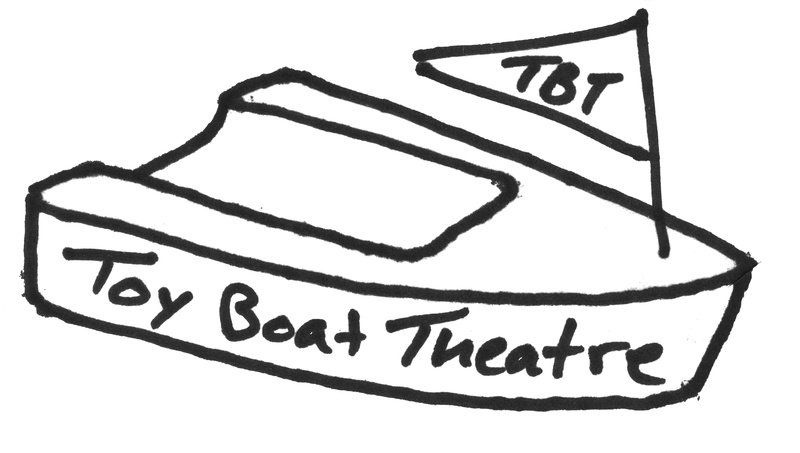 During its tenure, Toy Boat Theatre performed a miraculous facelift on a sterile office space, drew new audiences to the neighborhood with six months of high-caliber drama, and left an indelible mark before moving on. We thought it was time to catch up with these Spaceworks alums and hear about their experiences in their own words. Sorenson admits to initial hesitation about the venture. But “after interviewing Rebecca [Solverson] and Amy [McBride, City of Tacoma Arts Administrator], it became clear that this would be a good way to occupy the trust building along with helping the K Street community grow in a positive way.” Sorenson’s family ties to Tacoma run deep: as a young man her grandfather, Theodore Martin Thorp, followed his cousin, Thea Foss, from Wisconsin to Tacoma. In 1967, her father, Bud (“Blind Man”) Thorp, “built the Thorp Building on property he had purchased when he was discharged from the Army Air Corps, a decorated airman.” Spaceworks is grateful to help usher in a new wave of activity at the Thorp Building. The Fulcrum Gallery (blue) and Thorp Building (left). No yoga at Fabitat. Photo courtesy of Fab-5. After Jen Davis left for studies in Ireland, Bennet soldiered on, “renewing our three-month lease through December, ultimately mounting five fully produced plays, six staged readings, two acting workshops and four open houses. In six months we hosted over 1000 patrons, worked with more than 100 student and professional artists, collaborated with our artist neighbors—Fab-5, Nate Dybevik studios, Fulcrum Gallery—brought commerce to Hilltop businesses (Pho King, Quickie Too, Crown Bar, Save a Lot, Ace Hardware), and were partners in bringing a vibrant presence to our ‘arts block’ in a building full of possibilities which had sat idle for several years.” Whoo! “We had not entered into this Spaceworks collaboration with any expectations beyond a good show in August at a price the community could afford. But once underway, and with such enthusiasm amongst artists, neighbors, and patrons, we couldn’t stop. We finished with a very successful, original solstice show, a lobby packed with beaming Toy Boat patrons, a final toast to an intensely busy but immeasurably gratifying season. With the help of Shunpike business clinics and Spaceworks partners, Toy Boat Theatre is now a legitimate business with license, tax ID, website and bank account with seed money for our next project. And another worthy company, Live Paint Theatre, has taken residency as a Spaceworks program in our MLK Way space, which is now clean, functional, partially furnished and ready for creative work to continue.